Only in Vegas, you say? Too bad. 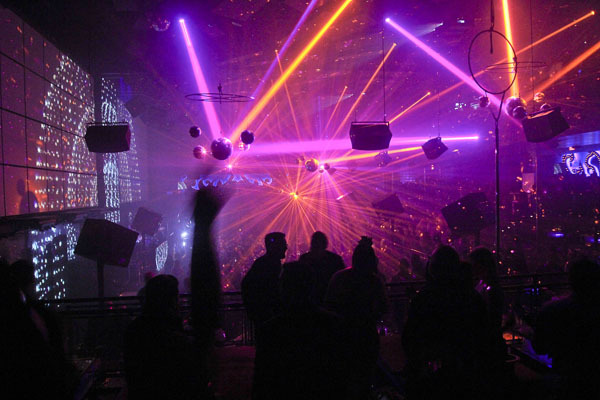 The Light is a Vegas nightclub at Mandalay Bay Resort & Casino conceived by the creative minds behind Cirque du Soleil. 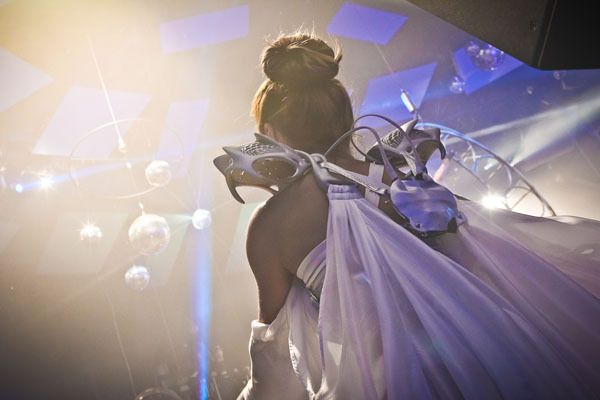 The show put on to ring in 2014, and replicated a few times in January 2014, combined wearable electronics with 3D printed costumes that would look at home on Lady Gaga, in an high tech, high powered environment. The costumes were designed by Fashion-Tech Designer Anouk Wipprecht in collaboration with Niccolo Casas and Materialise. The 3D printed elements in laser sintering hosted four independently controlled shoulder pieces with strobe-effect 20W High Power LEDs shining through the shape. With wireless synchronisation as part of the animation control system, Anouk and her team (Matt Pinner and Daniel Schatzmayr) developed an independent interface based on custom made PCB boards connected with an network adaptor to a Linux-based BeagleBone. All together, this simplified the rapid deployment process by having an minimum power footprint. 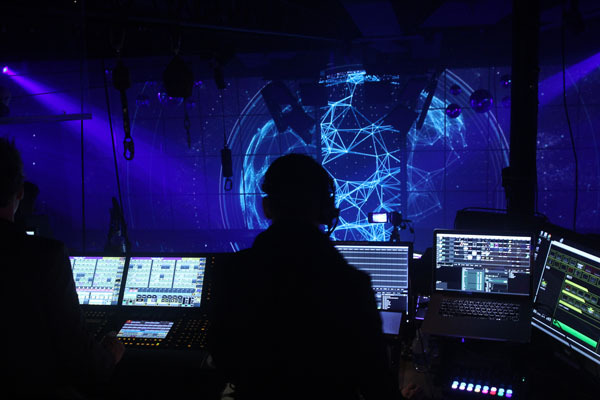 TouchOSC (BeagleBone uses Android 4.0) enabled the designs to be controlled within the unpredictable realms of the tunes and beats of the venue.